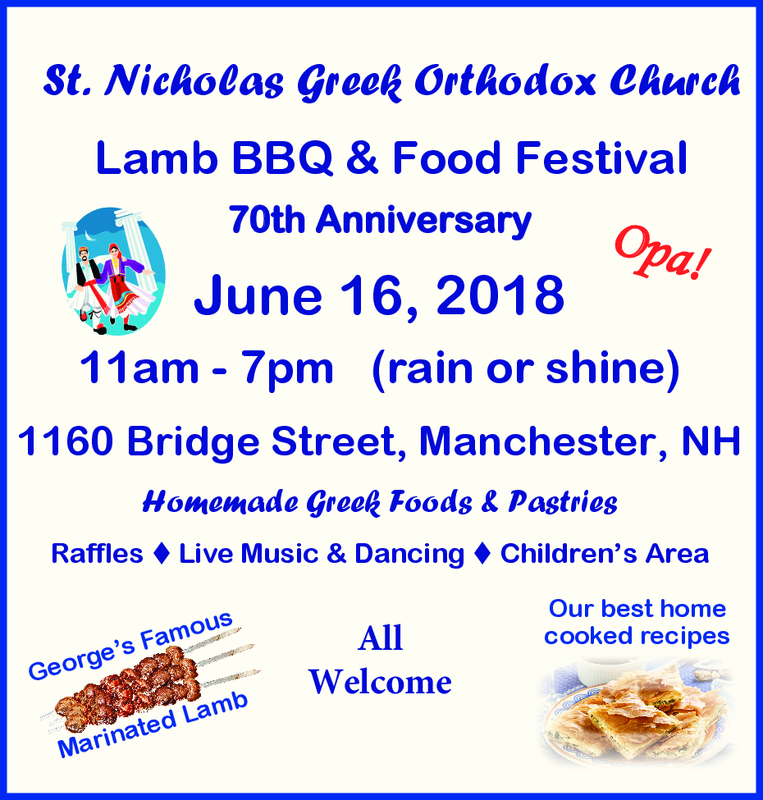 Saint Nicholas Greek Orthodox Church will hold its annual lamb barbecue on June 16, 2018 on the church grounds at 1160 Bridge Street Extension in Manchester. This event features George’s famous marinated lamb as well as other traditional Greek dishes, sumptuous Greek deserts, and Greek music. Please join us for a day of fun and great food. Call the church at 625-6115 for more information.